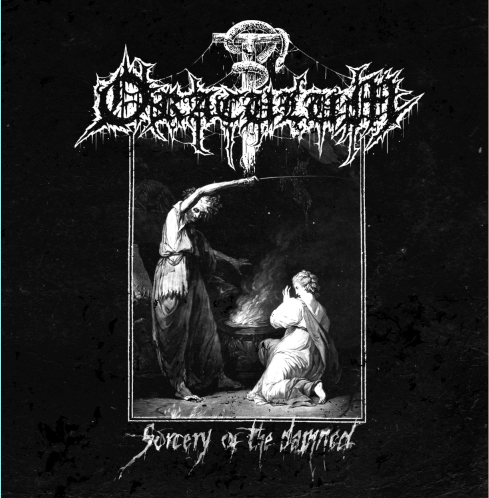 Currently viewing the tag: "Sorcery of the Damned"
"I’ll be the first to admit that I truly enjoy the old school death metal (OSDM) revival that seems to have been going on forever in the metal scene. That said, it does have its fair share of problems. Too often bands hopping on the OSDM train will focus on and nail down the cavernous murk that helped define classics like Onward to Golgotha and Diabolical Conquest, but forget that atmosphere was only half the battle..." The OSDM train just keeps chooglin on down the line, but do you still want a ticket to ride?